The Cessna 172 Guide is your full-service resource for information about the world's most popular single-engine airplane. We have carefully researched every model to bring you the most complete library of information found in a single, free website. This is the special information needed by any pilot who owns, flies, or is thinking about buying a Cessna 172. Regardless of whether you register or not, please feel free to dig in and enjoy this powerful resource. We are happy to have you as our guest. Daniel Bloecher, Jeff Jacobs, Jerry Plante, Jim Baker, Joe Ebert, Joe Pape, Markus Decker, Terry Shepherd. The 172guide offers a large cross-section of information about the Cessna 172 Skyhawk. Every model is thoroughly documented using data taken directly from the original Pilot Operating Handbooks (POH), Information Manuals, Airplane Flight Manuals, and Cessna Owner's Manuals. The site also offers free classified advertising for pilots buying or selling Cessna 172 airplanes, as well as weight and balance calculations and flight planning. The Library contains a wide range of articles of interest to Cessna 172 pilots and owners. It also includes links to major organizations such as the Cessna Pilot's Association (CPA) as well as direct links to the FAA for Cessna 172 Airworthiness Directives (AD). Copyright 2014 by Atlanta Flight, Inc. All Rights Reserved. 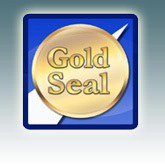 This Site is Part of the Gold Seal Network.